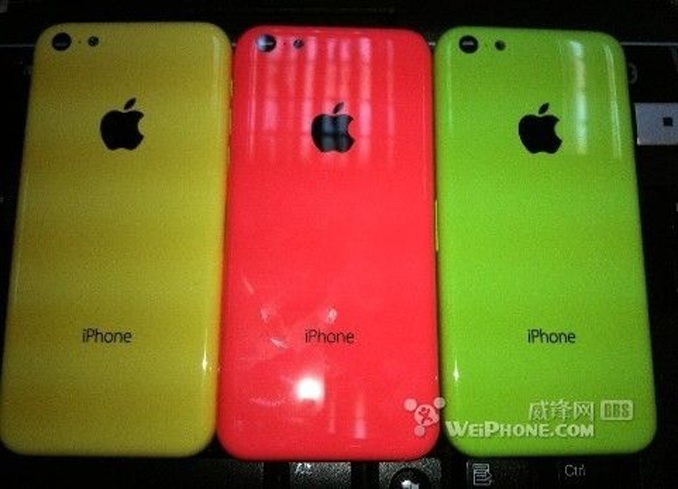 This morning, a pair photos claiming to depict the backplate for Apple’s rumored upcoming low-cost iPhone have appeared on the WeiPhone forums. The backplate, which is unverified to be legitimate, appears to be made of a plastic material and is shown in a green color. The overall design of the purported part lines up with past reports suggesting that Apple is developing a low-cost iPhone with a plastic-like-casing in a number of colors. NowhereElse found two more including red, yellow and green variants. Like the current iPhone 5, the above rumored casing shows a rear-facing camera along with a microphone hole and an LED flash. However, matching some purported parts for Apple’s next flagship iPhone (rumored to be called the “iPhone 5S” because of its iPhone 5-like appearance), the microphone hole is round, not pill shaped as found on the iPhone 5. 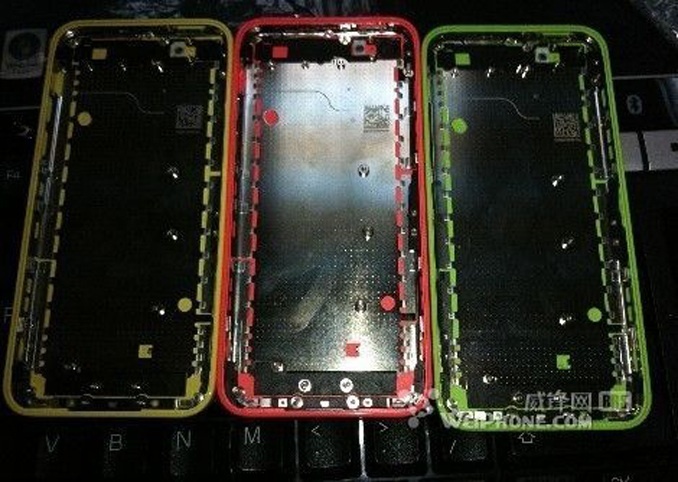 As for the rumored-low-cost iPhone’s internals, the above photos do not clearly demonstrate what type of chipsets or internal features the phone could offer. We previously profiled the rumored cheaper iPhone as a way for Apple to bring Lightning connectors and 4-inch Retina displays across the iPhone line. In addition to the sketchy photos above, NoWhereElse.fr re-publishes (the original source of the re-published image is, of course, not mentioned) claimed design schematics for the upcoming fifth-generation full-sized iPad. These photos, if legitimate, apparently point to the next iPad with 9.7-inch display being slightly thicker than the 7.2mm iPad mini, yet far thinner than the current fourth-generation model. Earlier this year, our sources said that the next full-sized iPad would sport a design similar to that of the iPad mini (but larger, of course). We published a series of photos pointing to this, and the sketchy images of the schematics seem to follow the design of the device in our photos. Apple will likely debut this new iPad (alongside a new iPad mini) this fall. Case makers are even already shipping out cases for the next full-sized iPad to reviewers.